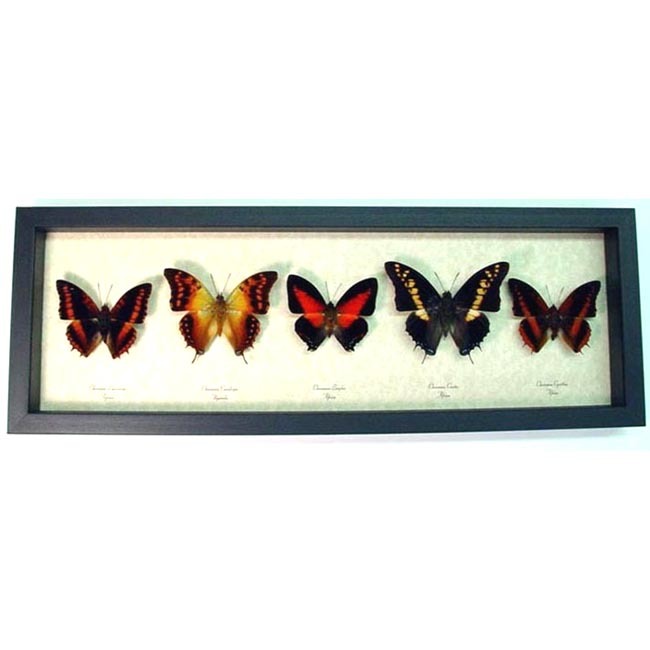 Species: Charaxes castor, Zingha, cynthia, candiope, and lucreitus. 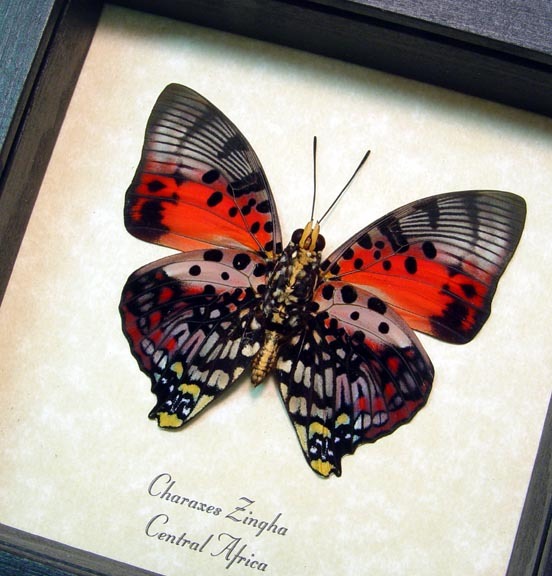 Description: The African sunrise Charaxes butterfly collection. 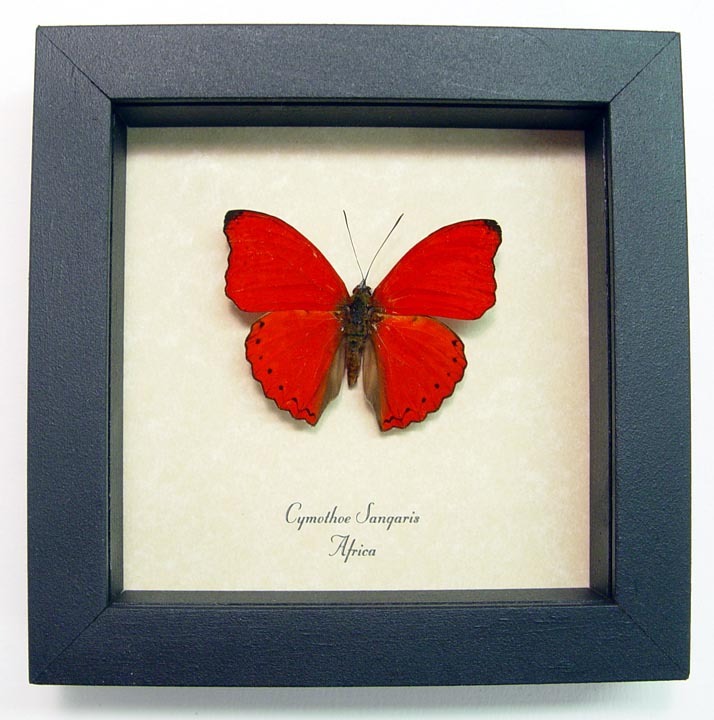 These beautiful African butterflies have stunning orange, red and golden colors. 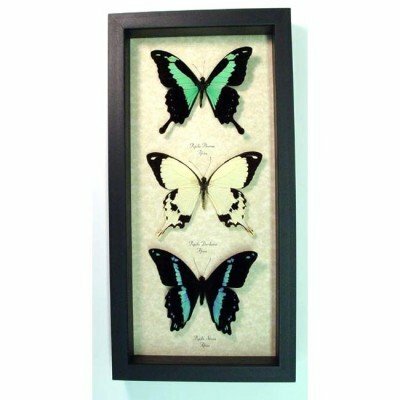 This will make a wonderful and unique collection for your home or office. 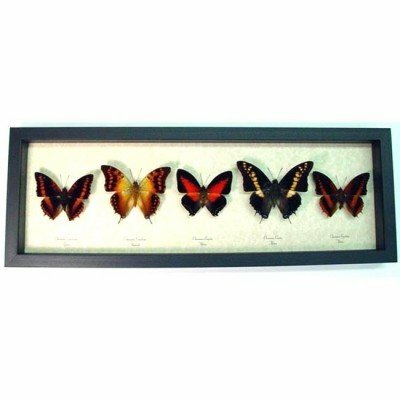 Wholesale Insects – World’s largest Selection! 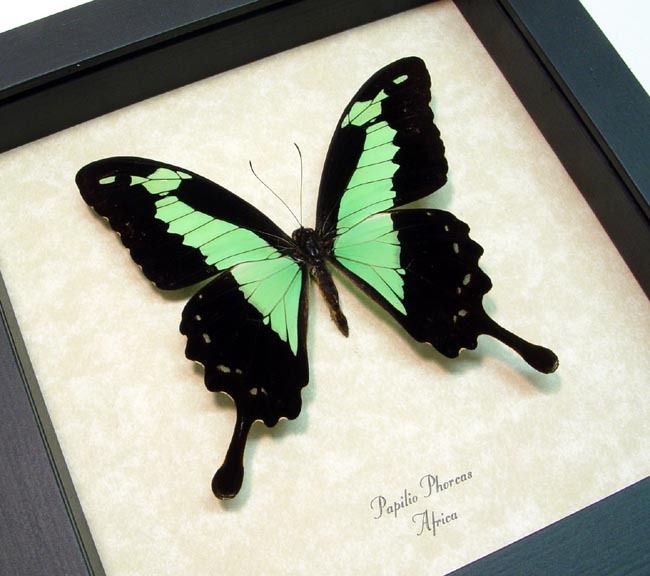 Real Framed Butterflies, Moths, Beetles, Insects, Bats, Birds, Reptiles Plus The Museum Collection & Oceanic Sea Life. 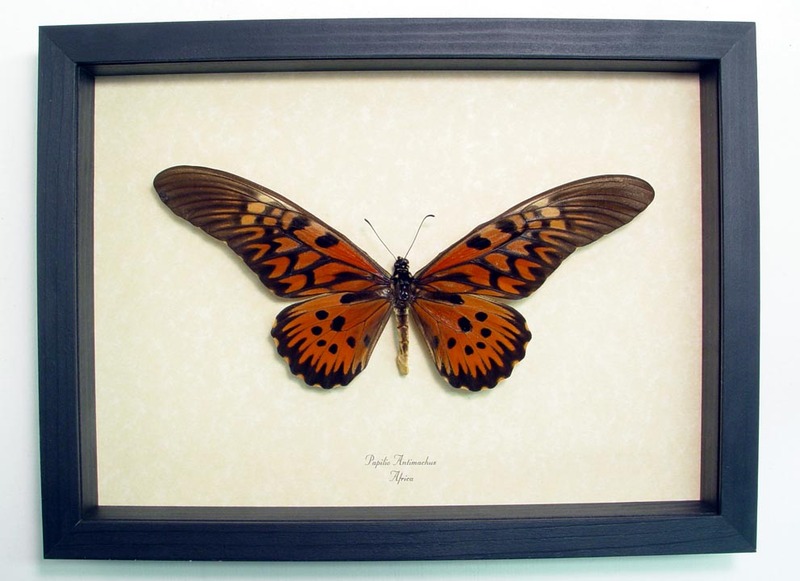 Real Museum Quality Taxidermy Displays Framed in Solid Wood & Glass Shadow Box Frames.